Alas ………. Eros Cinema is also gone !! MUMBAI – MAHARASHTRA – INDIA December 29, 2018 04.45 P.M.
I’m so sad , crestfallen and heartbroken today. Last month on November 28, 2018, I wrote about closure of Rhythm House and Cafe Samovar . I felt deep sense of loss at that time. Now comes news of closure of Eros Cinema hall. When I saw the photograph of the gate of this majestic building being locked, my heart melted. I had so many warm memories of this particular cinema hall. In 1972, I went there to watch a Hollywood film ” KLUTE ‘ [ 1971 ] starring Jane Fonda , Donald Sutherland and Roy Scheider. Sylvester Stallone was also in the film but as an extra. Jane Fonda won an Academy Award for Best Actress. ” KLUTE ” was huge hit . When I reached there to watch the movie, ticket windows were closed. I stood on the staircase and was very disappointed. There was a man in sky blue top and denim pants and he gently said, ” do you want to watch the film? ” I simply nodded. He gave me one ticket saying that he bought it for his friend but it seems he won’t be able to make it. So you take this ticket and enjoy the film. When I offered to pay the price, he politely refused. Few days later, I watched the same man in a Satyadev Dubey directed play ” AADHE ADHURE ” at Patkar Hall. Three years later, while in my native place Deoria, Uttar Pradesh , I went to watch a Hindi movie ” SALAAKHEN ” [ 1975 ]. This Shashi Kapoor and Sulakshana Pandit starrer movie had a villain. I suddenly recognized the man. He was the same person who offered me a ticket of ” KLUTE ” and whom I watched in ” AADHE ADHURE “. Then I got to know his name. His name was Amrish Puri. Those days he was known as the younger brother of Madan Puri. Few years later he became a huge , gigantic star and later on a legend. Many years later, when I became an acting trainer, I trained his grand-son Vardhan Puri , who is making his debut in a Hindi film called ” PAAGAL “. Later on I watched many Hollywood and Bollywood films at Eros. If I am remembering correctly, Amir Khan and Urmila Matondkar starrer film ” RANGEELA ” [ 1995 ] , was the last film , which I watched there. There after multiplex boom hit Mumbai and many swanky plexes sprung up in suburbs. So Sunday routine of watching film at South Mumbai single screen theatres lost its charm . And I got busy in my acting training activities and watching films at Eros and other single screen theatres was discontinued. But when I heard the news of its closure and saw the gate being locked, I was devastated. One more iconic place of my struggling days is going to be finished for ever. There won’t be another Eros. There won’t be same movie watching experience again. But journey of life moves ahead. MUMBAI – MAHARASHTRA – INDIA December 08, 2018 03.30 P.M.
Peter James O’Tool aka Peter O’Tool was a British stage and film actor of Irish and Scottish descent. He attended the Royal Academy of Dramatic Art and began working in the theatre, gaining recognition as a Shakespearean actor at the Bristol Old Vic and with the English Stage Company before making his film debut in 1959. He achieved international recognition playing T. E. Lawrence in Lawrence of Arabia (1962) for which he received his first nomination for the Academy Award for Best Actor. He was nominated for this award another seven times – for Becket (1964), The Lion in Winter (1968), Goodbye, Mr. Chips (1969), The Ruling Class (1972), The Stunt Man(1980), My Favorite Year (1982), and Venus (2006) – and holds the record for the most Academy Award nominations for acting without a win. In 2002, O’Toole was awarded the Academy Honorary Award for his career achievements. He was additionally the recipient of four Golden Globe Awards, one British Academy Film Award and one Primetime Emmy Award. I came to know about him in 1973. I was studying in Prayagraj [ then known as Allahabad ] , Uttar Pradesh. A Hindi film ” NAMAK HARAM ” was released in 1973 in Vishwambhar cinema hall. I, along with my friends, went to swatch it. It was huge hit and everyone was praising Amitabh Bachchan and Rajesh Khanna’s acting. One day I read an article about ” NAMAK HARAM ” in Northern India Patrika, a popular daily of those days. It was written that this film is based on the iconic Hollywood film ” BECKET ” and how Richard Burton and Peter O’Tool were so brilliant. Richard Burton’s role was played by Rajesh Khanna and Peter O’Tool’s role was essayed by Amitabh Bachchan. Soon ” Becket ” was re-released in cinema halls and I saw the film. I had already watched many films of Richard Burton but this was my first brush with Peter O’Tool. I was awe-struck. 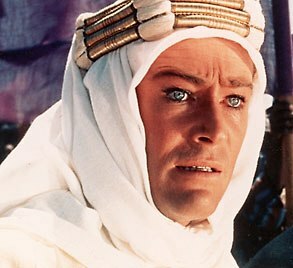 Later on I watched his first film ” Lawrence of Arabia “. My admiration for his craft grew manifold. After completing my studies I left Prayagraj [ then named as Allahabad ] , and after spending 15 years in my native town Deoria, I settled in Mumbai [ then know as Bombay ] . Here in 1990 I watched his film ” THE LAST EMPEROR ” ( 1987 ) . One day while roaming around Hutatma Chowk, [ earlier known as Flora Fountain ] , I got his biography in a road side bookstore. After reading it , I became a life-long admirer. So when I read about his death, I felt a vacuum in my life. Life is cruel. I got to know about Peter O’Tool in 1973. And in December 2013, I was reading his obituary. A relationship of 40 years came to a sudden end. Movie business will go on. Many stars will come and fade away. But stars like Peter O’Tool are rare. As is the saying, they don’t make people like him any more. Peter O’Toole will never return to enthrall us by his histrionics in cinema. There will be many great actors but there will never be another Peter O’Tool. On behalf of all the students & staff of VIDUR Acting Institute , VIDUR Editing Studio , VIDUR Club and VIDUR Merchandise, I offer my deep condolences.